Called it synchronicity, call it a coincidence, call it whatever you like: I was busy uploading this cassette when I saw ElectricJive had posted the next volume in this series. I gladly refer you to ElectricJive's post, and not just for this post. I can confirm that there are five volumes in this series, and I will post them all, if you are patient. If I remember correctly I bought these cassettes in the early 1980s in a small shop in Soho, London, together with two volumes of Congolese music from the 1950s. Later on I also found a cassette by Monguito El Unico from the (probably) same source. The rest you can read in my earlier post of the first volume. Having just spent two weeks trying to recover files from a failing & angrily resisting hard disk, I am happy to report that most files have been saved. Only about 2% of the volume was lost. So I now can get back to the business of sharing some of the forgotten and/or (almost) lost wonders of African (and latin) music with you. And in this case a cassette by a Guinean star who has been the subject of a post in November 2008: Mory Djeli Kouyaté, who used to be nicknamed "Dienne", but later changed this to "Deen". In my earlier post I stated that Mory Djeli was from Kankan. It appears that this is incorrect: I am told he was born in Siguiri. But he did rise to stardom in the second town of Guinea, Kankan. It appears to me that this cassette from 1993 was Mory Djeli's first attempt at a break-through on the international market. While the cassette from 1990 which I posted earlier was still devoid of the electronic interventions which seem to tipify recordings made in Parisian studios, this cassette seems to have been the first in which Mory Djeli cooperated with Jean-Philippe Rykiel. A cooperation which, unfortunately, seems to have continued right into the present day. Personally I am no fan of Mr. Rykiel's meddlings in African music. One of the attractions of (a large part of) African music is the omission, the leaving out of the obvious, the rhythmical gaps, the unsuspected zeros. Mr. Rykiel's synthetic additions fill in these holes like a thick greasy mayonnaise, covering - and in some cases blocking - the subtle tastes of the African ingredients. And in hindsight, there have been many cassettes in which the Parisian production is far more pronounced. Even within Mory Djeli's oeuvre, this is one of the more modest productions. 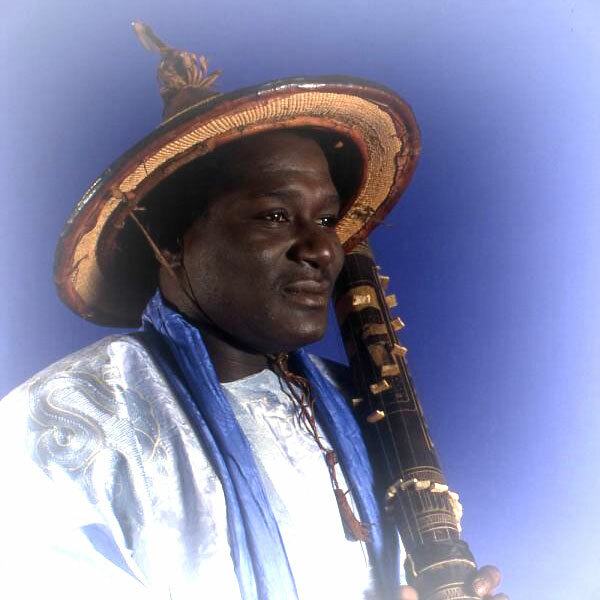 The balafon played by M'Mabou Camara and the - at times frenetic - ngoni of Garba Tounkara can still be discerned, and the female chorus sounds far less 'canned' than it does in other productions. And then there is the winning element of this music: Mory Djeli's brilliant vocals. This man has a Voice. My favourite songs on this cassette are "I Nagna", "Mory Nikala" and "Telemba". Songs with an enormous drive and with Mory Djeli's power vocals accentuating this drive. In the first track on the B-side pays homage to Amadou Toumani Touré, who at the time had handed back power to the civilian authorities after performing a coup d'état against Moussa Traoré in 1991. It is exactly 72 years ago today that one of the greatest stars of African music was born in Sona-Bata, Congo: François Luambo, who within 16 years became a phenomenon in Congolese music and whose 'stagename' Franco even today, nearly 21 years after his death, is inextricably linked to modern Congolese music and African music in general. As an ode to this grand master I would like to share with you this rare album, released in Côte D'Ivoire on the Disco Stock label. The lp contains twelve tracks from the 1950s. 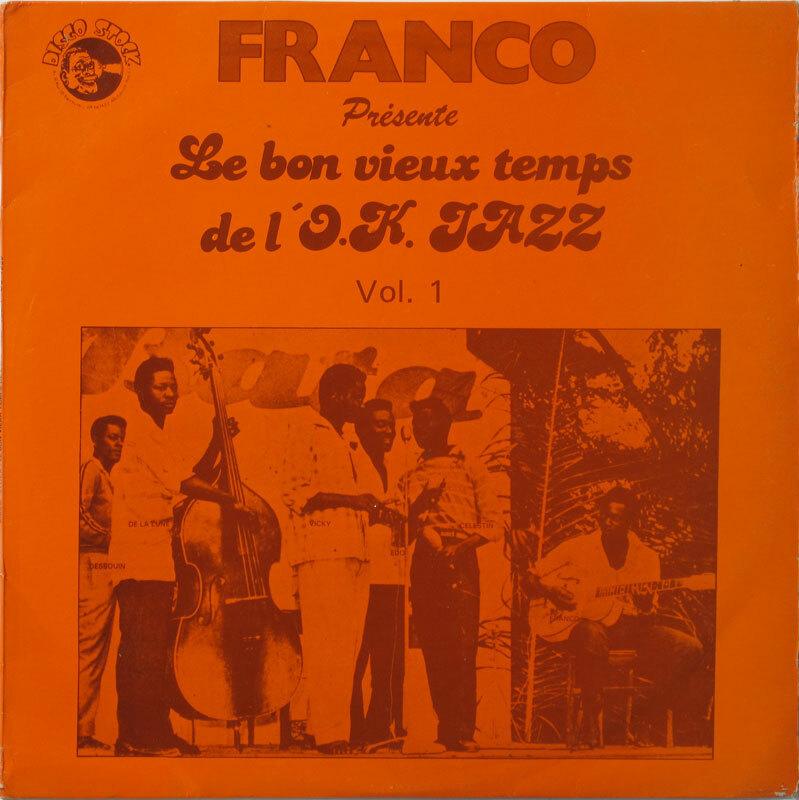 Although the title of the lp is "Le bon vieux temps de l'O.K. Jazz" ("the good old days of the O.K. Jazz"), there is in fact one track which was recorded in the time before the foundation of the O.K. Jazz. "Elo Mama" (titled "Mama Elo" on this lp) was released in March 1956, i.e. three months before the birth of O.K. Jazz. Just nine months later the O.K. Jazz produced such miraculously brilliant tracks as "Venga De Priza" (called "Del Prison" on this lp). And again nine months later they gave birth to "Linga Ngai Tolinga Ye" (erroneously titled "Linga Ye To Oling Ngai" on this lp), a bolero which has occupied a steady position in the top of my favourite songs for nearly twenty years now, followed two months later by "Zonga Vonvon Melancolie" (mauled into "Mboka Yo Okeyi Mosika" here). Both tracks contributed to Franco's status as the real and undisputed sorcerer of the guitar, who was capable of touching emotional strings others had even never heard of. 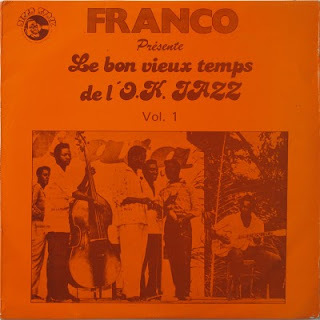 The 'most recent' of these compositions, all by Franco himself by the way, is from January 1959, and is proof of the subtle maturation of Franco's guitar playing. "Mbongo Na Ngai Judas" ("Judas" has disappeared in the title on the lp), no doubt about the silverlings which Judas received for betraying Jesus, is actually the A-side of another out-of-this-world composition by Franco: "Ndokoyo" ("this sorcerer"). Some of these tracks were released (and generally in a better quality) on various lp's on the African label, but songs like the ones I mentioned more than amply make up for the redundancy of those. PS: I have added a list of the correct titles. Four days ago I had finally found some time to sit down (overcoming obstacles like the sweltering heat and family members claiming attention) and started writing this post when my computer without any kind of warning shut down and rebooted. After the initial stages of panic and uncontrolled swearing I discovered that another hard disk had committed suicide. Having just overcome the loss of a hard disk of exactly the same brand, type and size you can imagine that my trust in the Korean manufacturer of this hardware has come to an all-time low. I am still in the process in trying to recover the most essential files (and unfortunately in this case some irreplaceable audio...) from the disk. Anyway, here is the post I was writing a few days ago. It may have escaped your notice, but on June 30 it was exactly 50 years ago that Congo regained its independence. And in writing this I realise that this is a historic inaccuracy, as Congo never existed as a 'modern' state before King Leopold claimed it as his private property in the 1870s. For the Congolese the late 1950s were a period of great expectations, and perhaps even greater promises. Musically the preparations for independence had started way back in the late 1940s, when the first recordings were made of 'native' artists. The development of a local music business in the 1950s coincided the rise of the 'évolués', i.e. the 'civilised native', who had been educated in the western ways by the Belgians colonisers. Perhaps the best-known musical exponent of this new middle class was Joseph Kabasélé, who later became known as Le Grand Kallé. Educated by the Belgians missionaries and having set his first steps on the musical path as a choirboy, Kabasélé had ambitions to become the Congolese equivalent of a French chansonnier. In 1951 Kabasélé started hanging out at the Opika studio of the Lebanese Benetar brothers. And as he was consider something of an intellectual, having had slightly more schooling than the average pre-independence Congolese, and as he had the good looks to attract a female audience, he was soon invited to join the then leading performers of the Opika label as a singer. 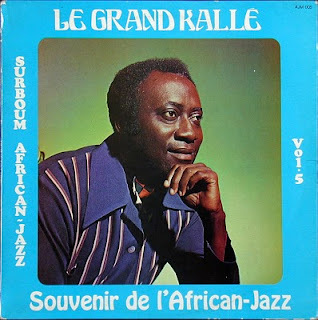 After some hesitant songs with Georges Doula (which I will post later), Kabasélé soon gained confidence and started delivering some of the hits which soon made him the star of the Opika label, and would lay the foundation for the African Jazz school* of Congolese music. It is hard to pinpoint the date when the band African Jazz was founded. Some sources say that the name was used as early as 1952. Others link the name to the recordings in which Belgian sax player Fud Candrix played with the Opika musicians, including a session with Kabasélé which definitely put the turbo on Kallé's career (subject of a future post). Alternatively the foundation is linked to the recording of the song "African Jazz", - which happens to be on the lp I would like to share with you in this post. The lp is a collection of songs from the 1950s and early 1960s, with five tracks originally recorded for the Opika label (a6 and b1 to b4) and seven recorded for the Esengo label. One of the Esengo tracks may seem out of place, not only because it doesn't feature African Jazz or Kabasélé, but also because it is sung by Rossignol (accompanied by Rock-a-Mambo), who was an exponent of the O.K. Jazz school. But Rossignol had moved to Esengo when it was founded on January 1, 1957, and recordings were made in various 'line-ups'. You may recognise the track "African Jazz" from the 'exotic' East-German record I posted earlier. The version of "Kay Kay" ("Kai Kai" on the sleeve), 'borrowed' by Nico** from the Cuban classic "La Galletana" (which I suspect was originally recorded by Orquesta America del 55' in 1957), is the oldest version. 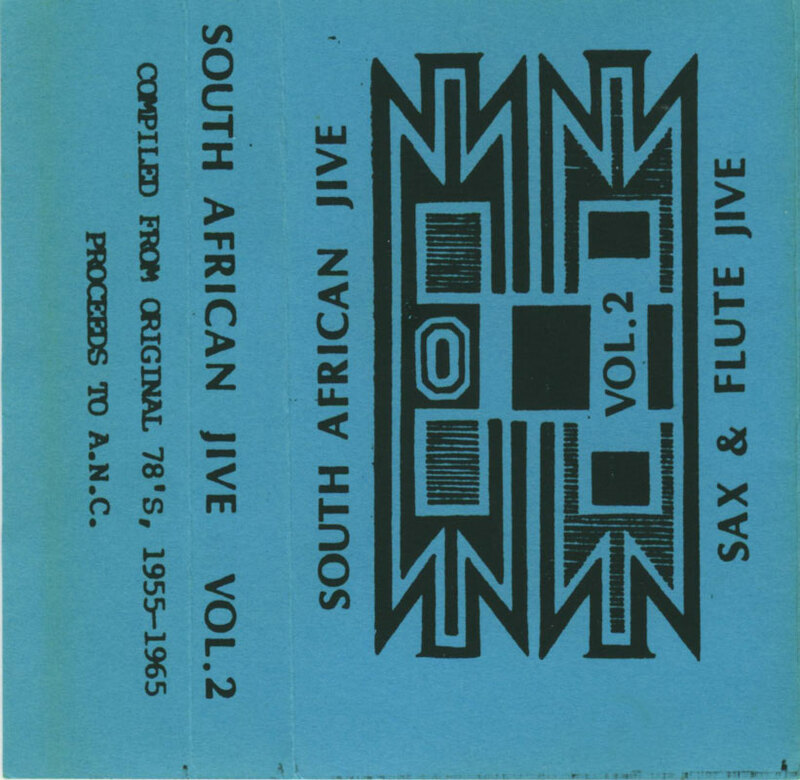 It was later re-recorded for the Surboum African Jazz label. 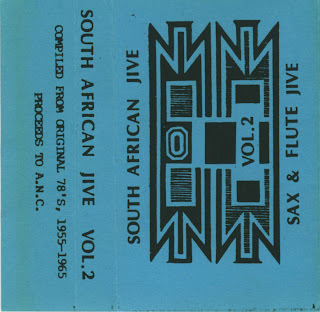 I think two of the Opika tracks, "Kele" and "Napekisi Yo Mo Nalingi Yo", are with Fud Candrix on sax, and two are clearly (he is named!) with the Rhodesian sax player Isaac Musekiwa, who had been dug up from (then) Elisabethville (Lubumbashi) to replace Candrix. In the fifth track another Belgian can be heard: Gilbert Warnant, a radio journalist, who helped out the Benetar brothers not only as a talent scout, but also as a Solovox (organ) player. * Franco once described the difference between his O.K. Jazz school and the African Jazz school as "a matter of influences": the African Jazz school has tended to incorporate more foreign (French, latin) influences, while the O.K. 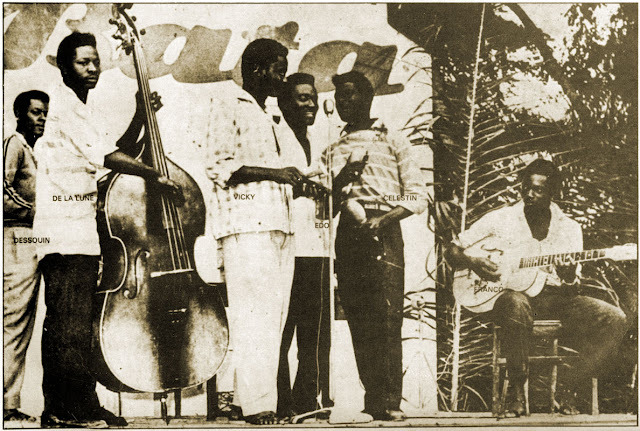 Jazz has predominantly been inspired by Congolese sources. ** and which was once - with considerable pride - named as Nico's greatest composition by a man who claimed to be Nico's nephew.